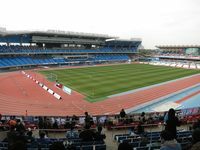 Although its erection was planned already in 1941, the athletic ground was opened in 1966. 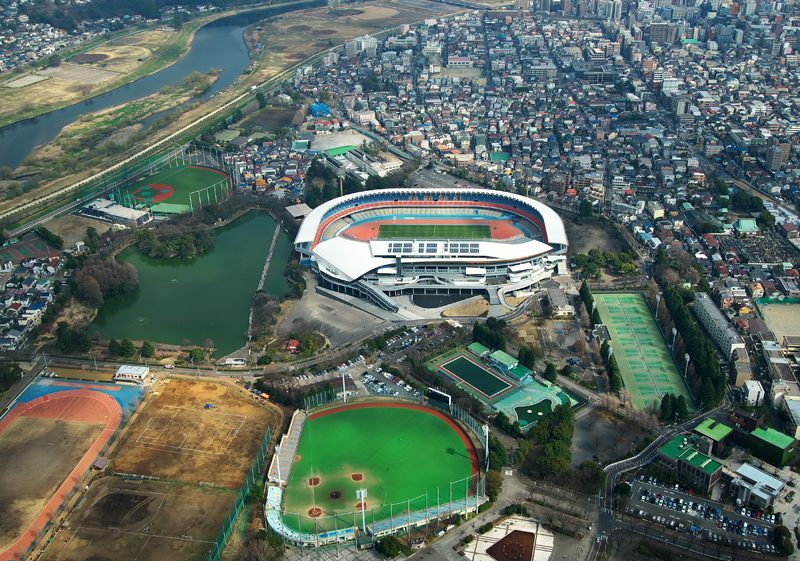 For years it’s been host to numerous sporting events which even included baseball apart from the more obvious football-rugby-athletics set. 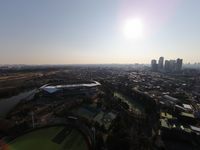 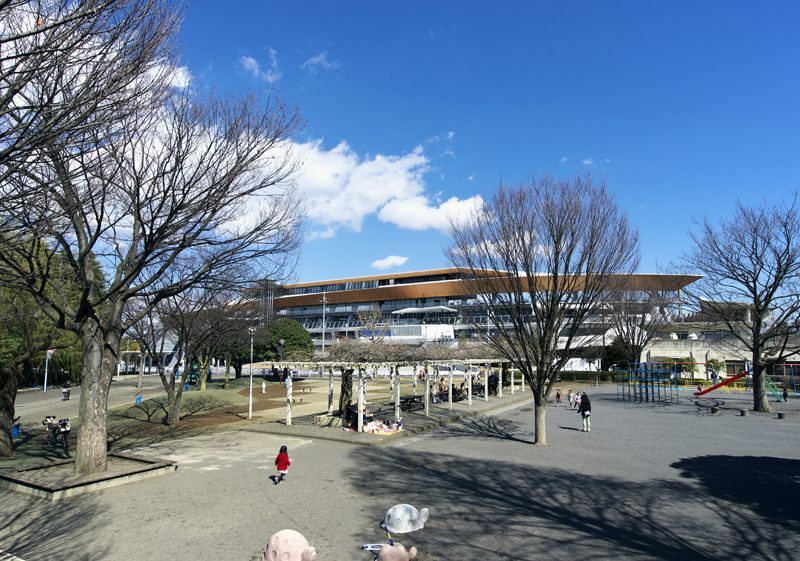 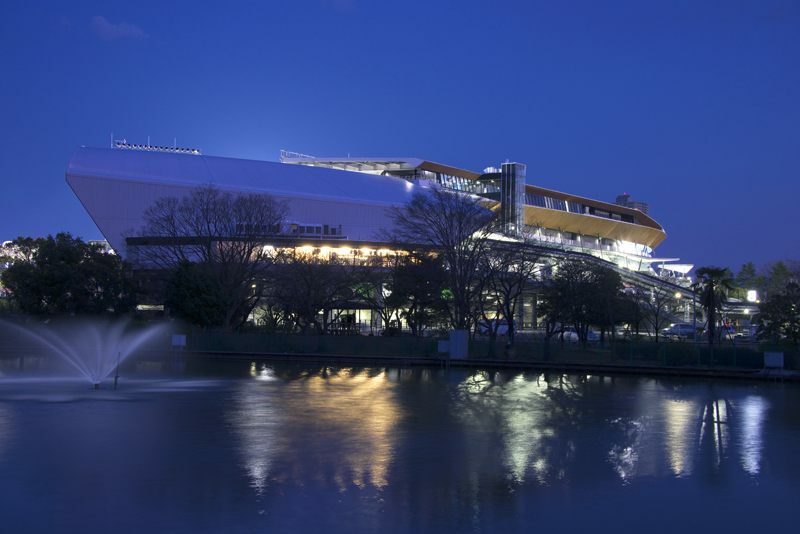 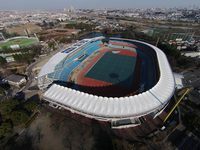 Currently the sports complex beside Tama River has multiple facilities and so the stadium serves primarily for football. 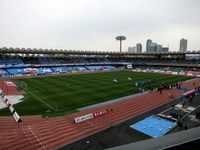 Current shape of the ground was set in 1990’s as the local football club Verdy were very popular and demand exceeded the available room for viewers. 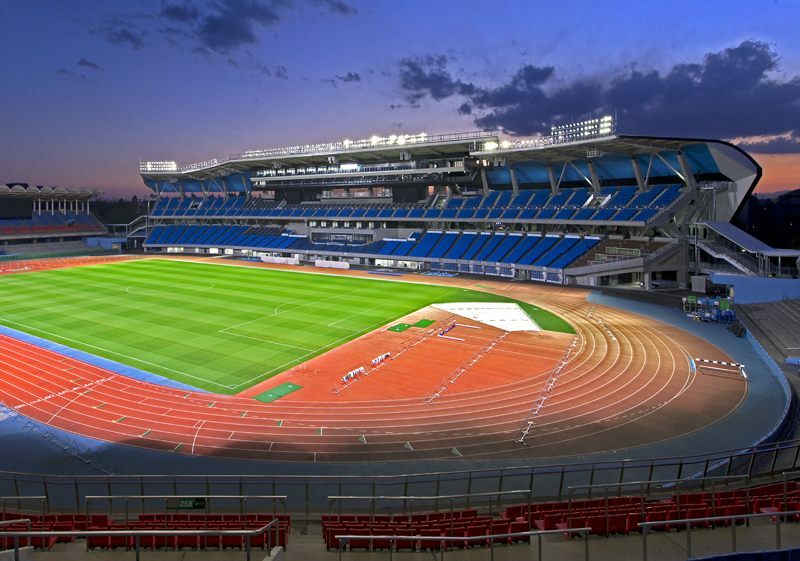 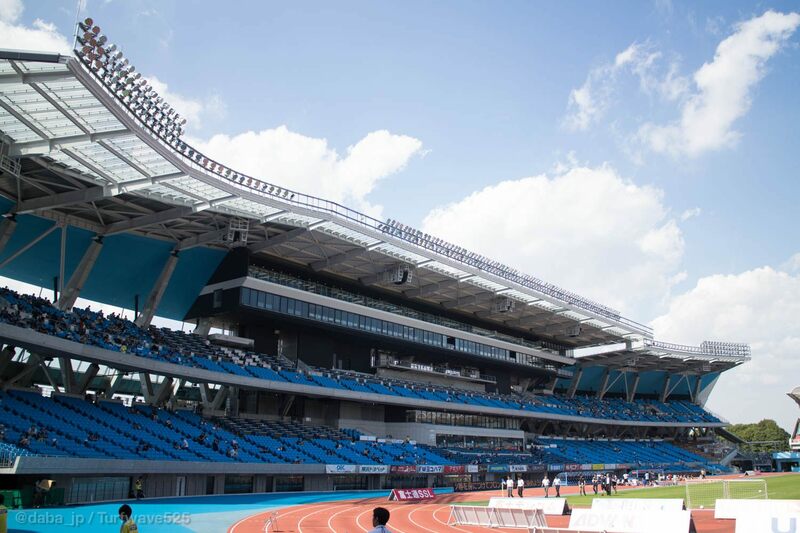 Some 6,000 seats were installed in 1994 and the whole ground was modernized, receiving new screens and partial roof. 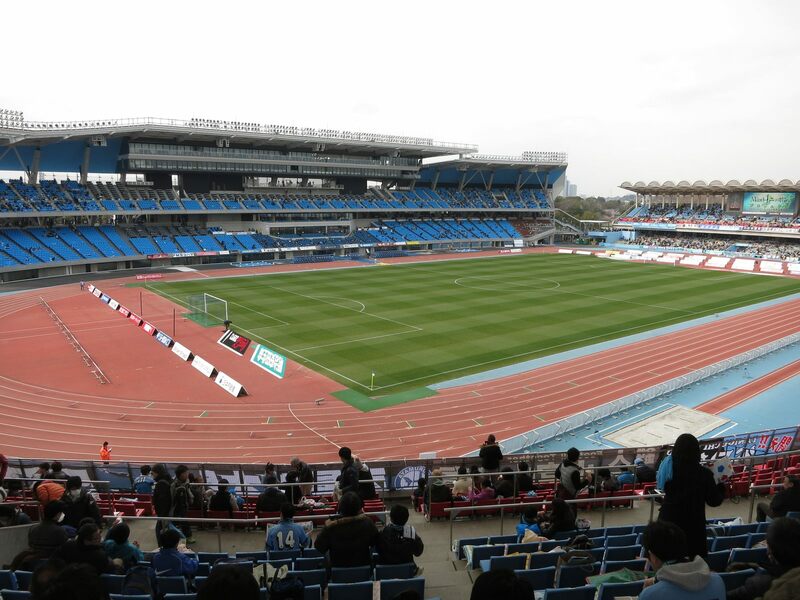 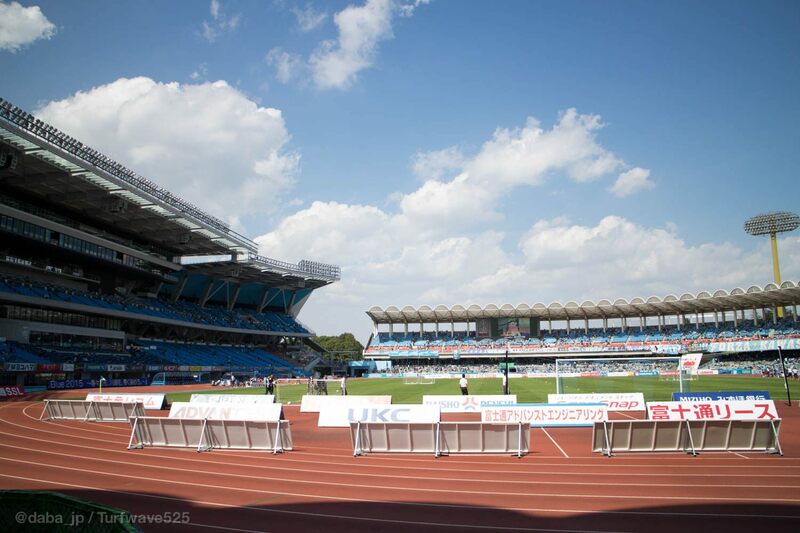 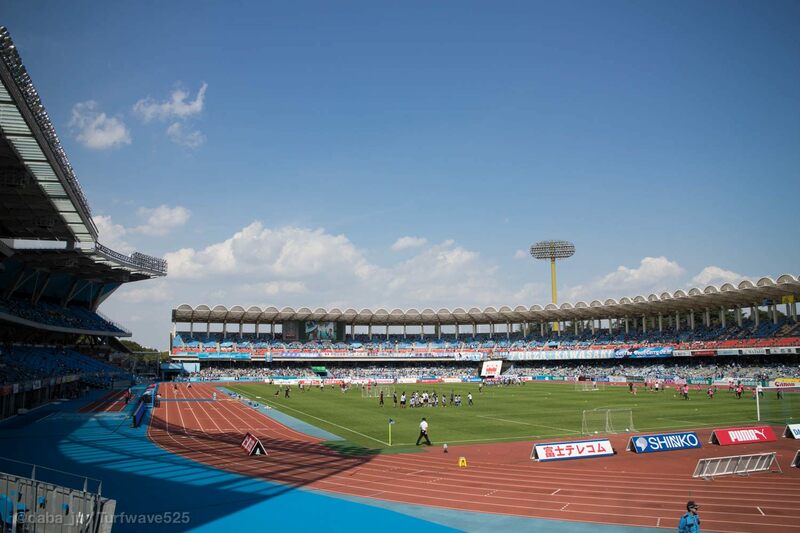 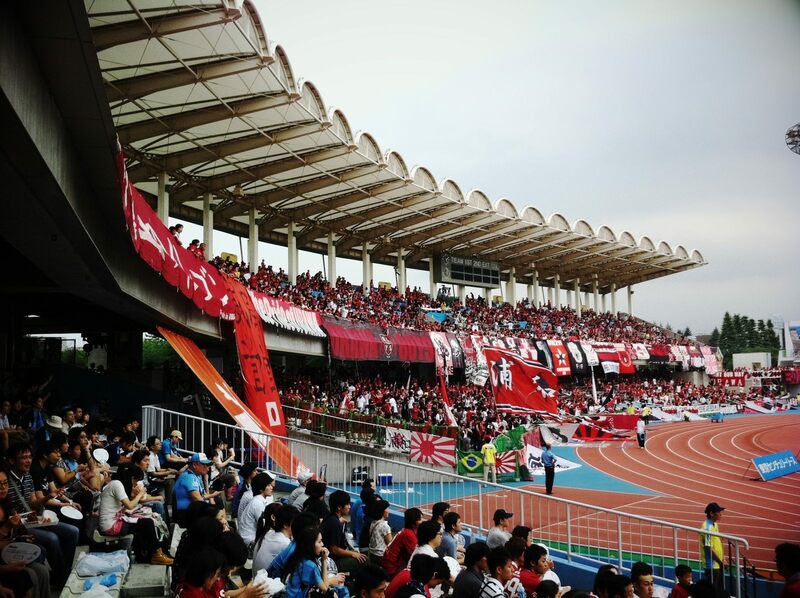 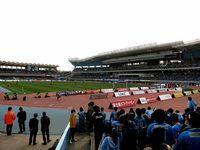 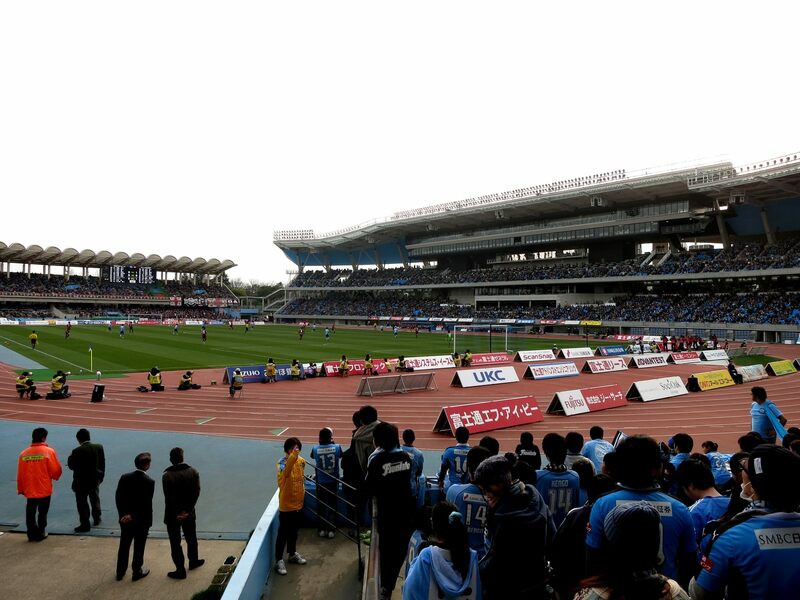 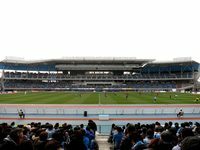 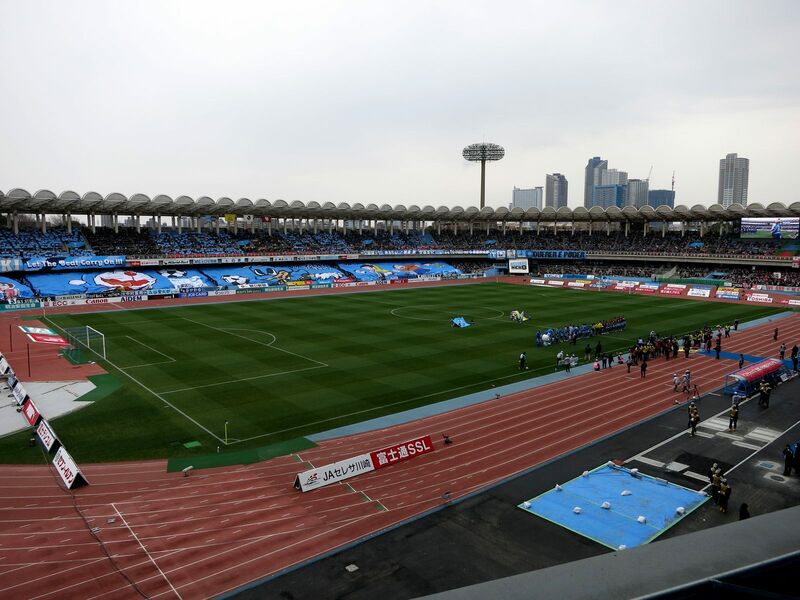 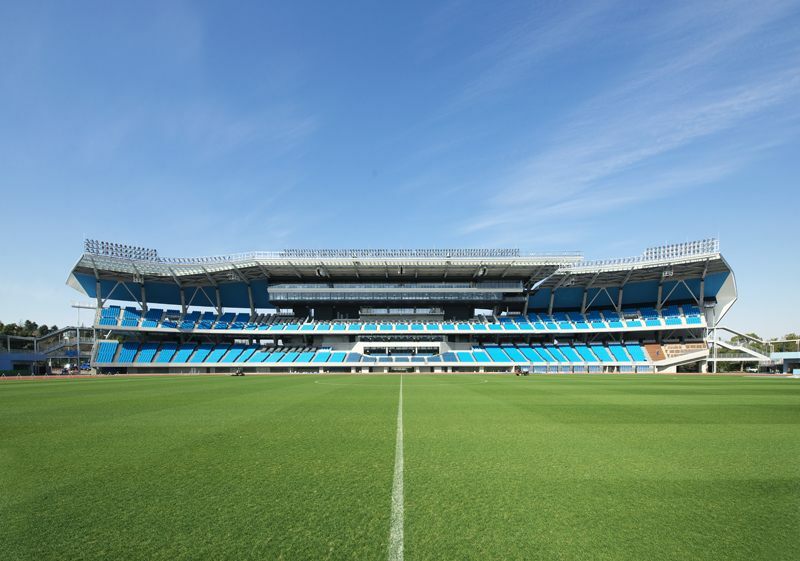 Along with Verdy’s exodus to Tokyo the ground was left with a rather smaller tenant, the Kawasaki Frontale, who have however grown to fill the Todoroki stadium. 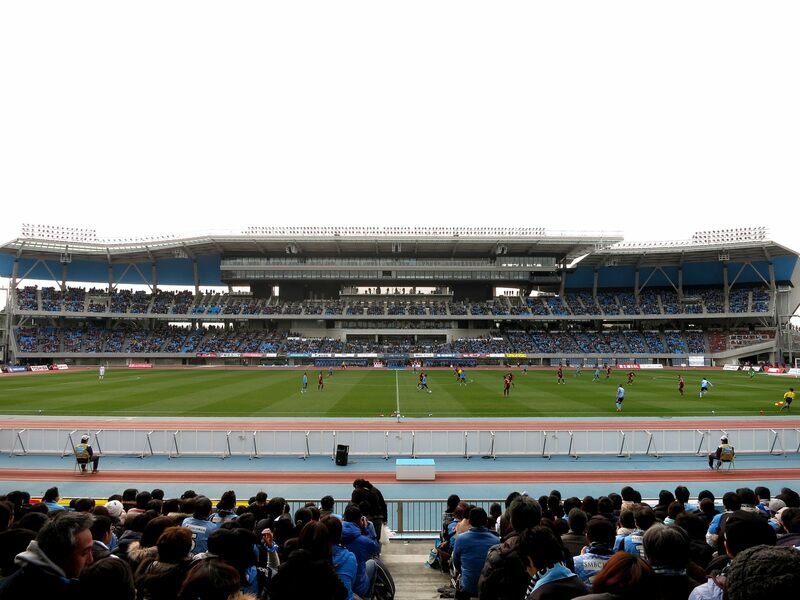 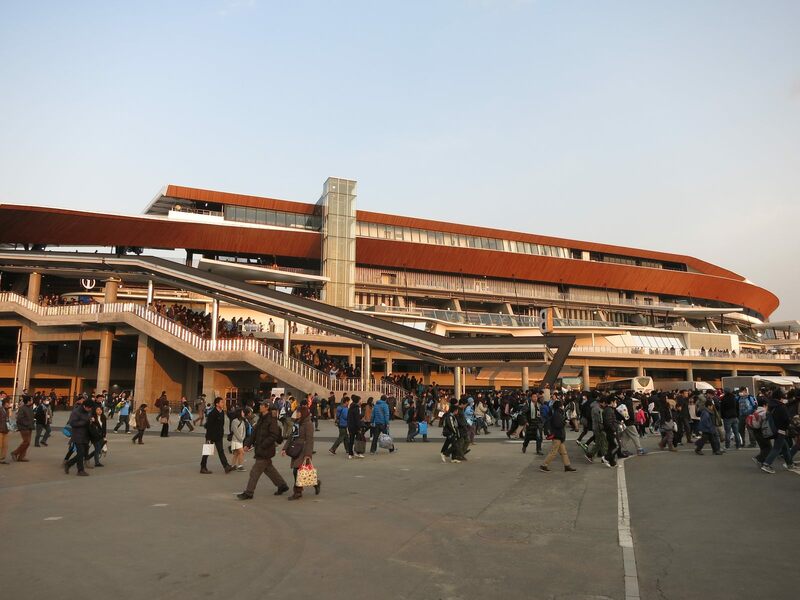 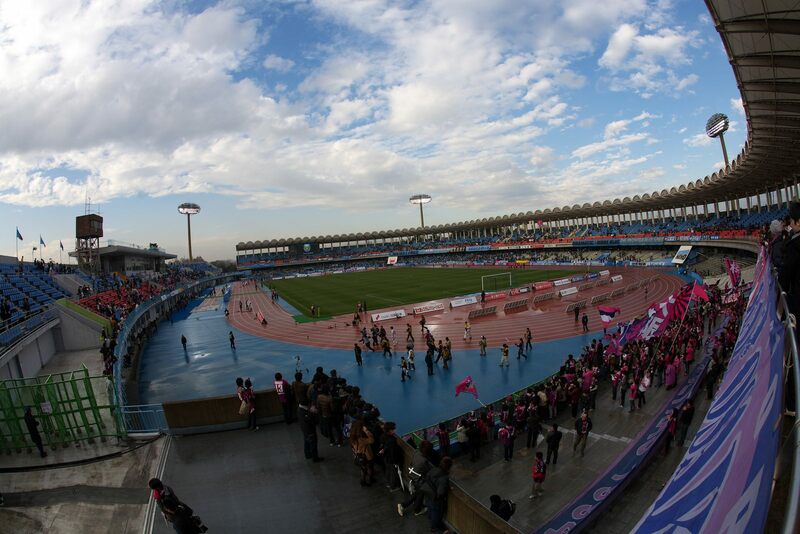 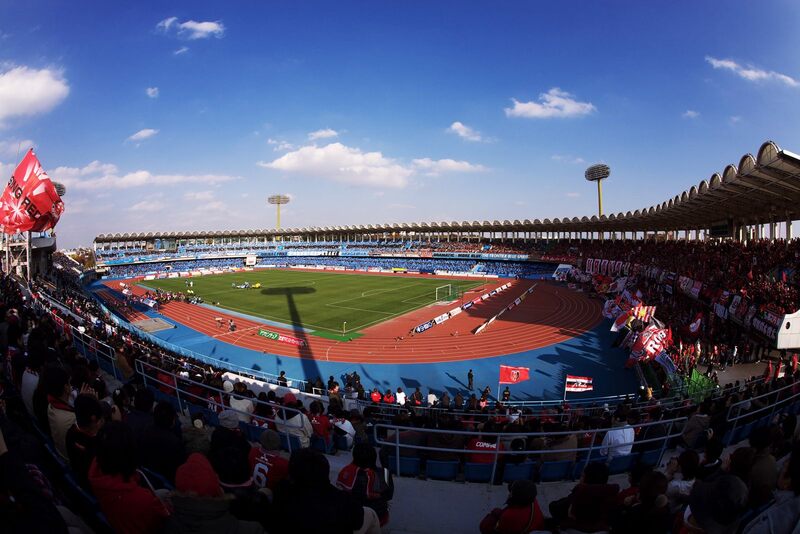 In fact, in late 2012 another redevelopment began in order to better serve the J.League club. 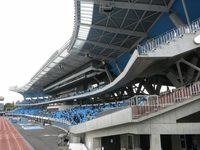 First phase included a brand new western grandstand with 7,500 seats over two tiers. 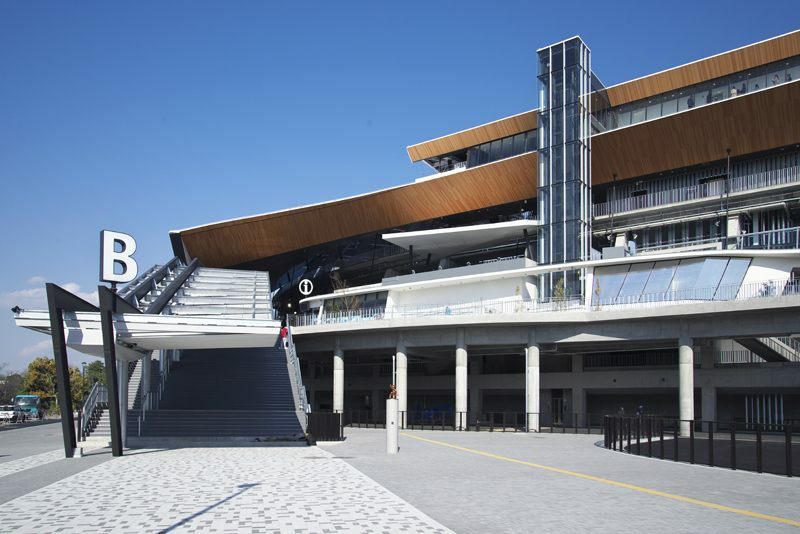 The grandstand offers extensive infrastructure across 6 floors, totaling at over 21,000 square meters. 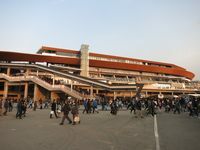 Its design is very modern and was created with sustainability in mind. 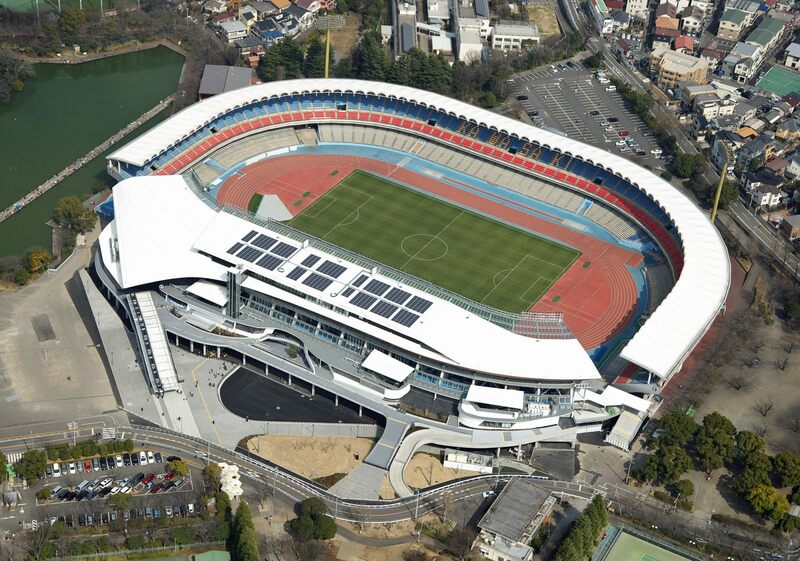 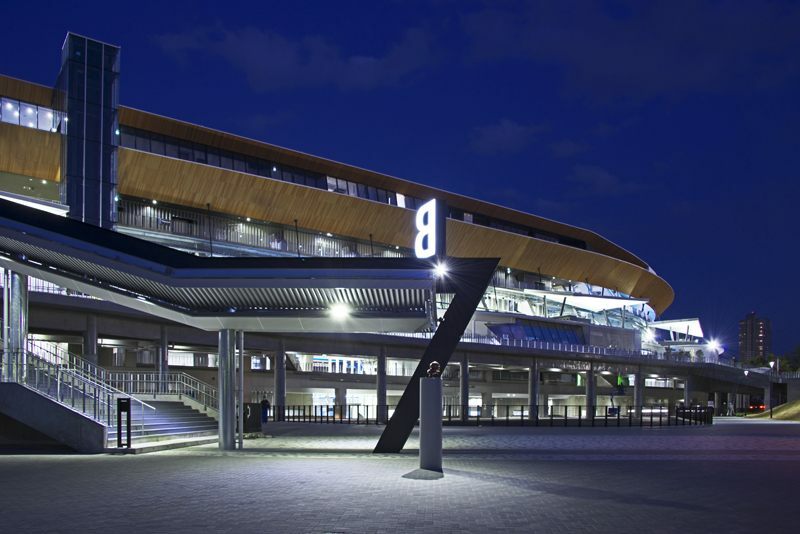 Wooden elements decorate it, while LED floodlights and solar panels are among energy-efficiency efforts. Second phase should see all remaining sides also redeveloped to fit the larger new stand. 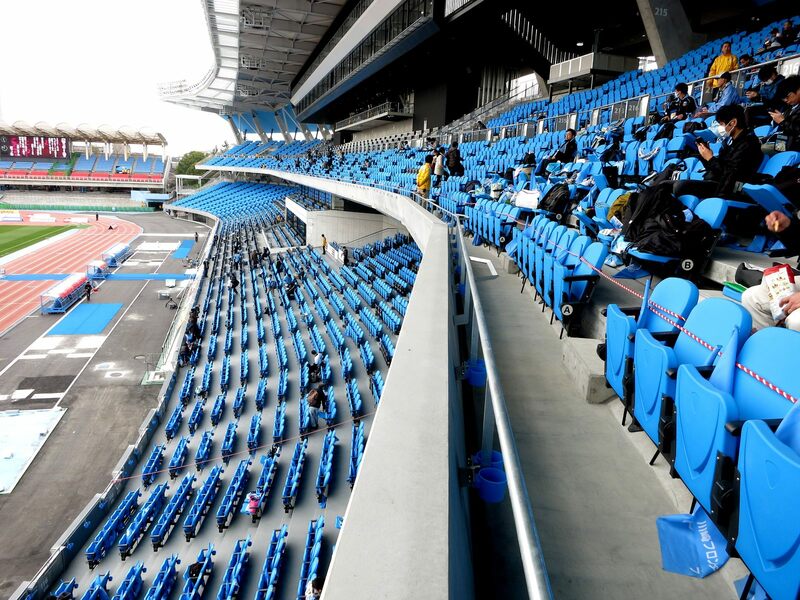 Sure, it’s only a publicity stunt. 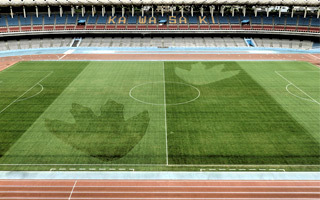 But this field’s pattern in Japanese city of Kawasaki is impressive enough to share by all means!